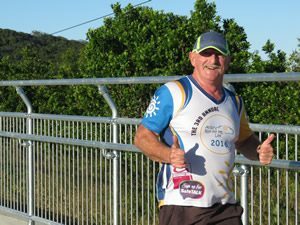 Mackay Road Runners enjoyed a very social 5/8/10km run from the beautiful precincts of the Bluewater Quay last Sunday afternoon at 4pm. With the sun thankfully still shining, the cool conditions were perfect for running in Mackay’s unique winter wonderland. Over thirty runners had various options to choose from including a 10km run to the testing Mt Bassett where they could view sensational late afternoon vistas from the summit. Excellent running came from several runners including Shane Barben, who was first in the 5km despite a nagging calf injury, Tim Caddy, who made a welcome return to the pavement after a series of testing ultra-marathon trail events and Ashlee Scott who also performed extremely well after a couple of injury setbacks. Peter Wright took a break from timekeeping duties to give his injury a work out by walking the 5km, as did Craig McGahey, who partnered Peter in the 5km event as part of his ongoing physio rehabilitation stint. Junior runners, Rachel Silvestri and Simba Walz were in awesome form leading their senior counterparts, Alana Ford, Mark Walz, Jo Hughes, Jo Skinner, Andrew Short, Colin Hardy, Darrin Pullen and Carolyn Steginga to the finish line. Ten kilometre runners, Jason McCord, Wayne McMurtrie, Peter Ford, Kylie Harbour, Mark Takagaki, Fernanda DeLima, Anna Walsh, David Isbister, Jo Ashford, Geoff Neale, Carol Brown and June Bradley had an excellent outing to successfully complete the Harbour Road/Mt Bassett run in excellent times. Many thanks to the Club’s awesome Andrew Short for his race day assistance – his usual weekly workload was severely reduced to the social concept. 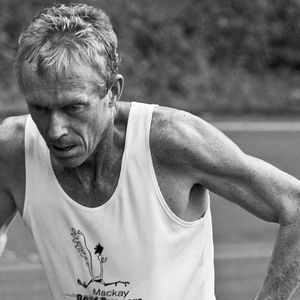 Runners are now tapering in readiness for this weekend’s annual Mackay Road Runners Signature event, the tough historic Eungella King of the Mountain. The 6.4km senior race is sponsored by long-time supporters, Torque Tyre &Trailer Parts (Roy Rosier) and M-test’s Wendy & Merv Shields. Wendy & Merv Shields are Life Members of the Mackay Road Runners and have continued their generous support once again together with the renamed Torque Tyre & Trailer Parts (old Mackay Tyrepower in Shakespeare St). Roy, Wendy & Merv sponsor the combined perpetual cycle/run event trophy which has been a coveted trophy since 2004, although the running event has been a must do event for over thirty years on the Mackay Road Runners calendar. 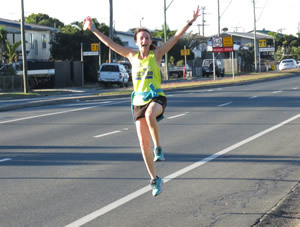 The Junior King of the Mountain 3.2km Laura Pettifer Inspirational/Podiatry Mackay event has also been a staple event on the Mackay Road Runners Calendar as well. Even though the junior event has been staged for over thirty years, this year will be presentation of the 10th annual Laura Pettifer Inspirational perpetual award. Laura, who was an excellent athlete and former winner of the 2018 Senior Queen of the Mountain, was an inspirational person among her family, friends, sporting, work and social peers. Her tragic passing on a cycling training event December 2018 will never be forgotten. Many thanks to her Mum, Veronica for her support of the junior event which will continue Laura’s legacy into the future. Podiatry Mackay’s Donald Orr has been supporting the event for approximately twenty years as well as being an integral part of the Mackay Road Runners Club supporting this event in addition to another of the Club’s Signature events, the junior Magic Mile, which will be held 19th August, hosted in conjunction with the North Qld Bulk Ports. The Eungella King of the Mountain event commences 8am this Sunday, 22nd July from Netherdale which is at the base of Eungella, 6.4km from the Eungella township. Runners and cyclists can nominate on the day by 7.45am with each competitor seeking out their own club to pay their registration fee and sign on. As this is a point to point event, competitors and their supporters will need to arrive at least one hour prior to the start to organise transport to the finish line or back to the start as the road will be closed by the Finch Hatton Police for an hour duration of the event. The Eungella Community Development Committee has generously allowed us the use of their sensational hall’s covered open area for the joint cyclist/run post event presentation with yummy breakfasts for purchase from the Committee’s volunteers. Please bring cash as per menu and race flyer already distributed by the run, cycle and triathlon clubs. The Committee’s hall now has toilet/showers facilities available for a $2 gold coin donation, BYO towels, etc…. Please note this facility is now open 24/7 for those wanting to clean themselves up whilst in the area, cycling, running, camping, etc… Thank you to the Eungella Community Development Committee who are always generous in their support.